Michigan holds a wealth of wild foods growing in her forests, fields, wetlands, and lakes. There are too many to name, so, I have chosen those wild edibles that I deem the most Michigander. The ones that remind every Michigan native of their childhood adventures or their adult culinary excursions. One wild plant or mushroom for every month of the year, each quintessential to the Michigan experience. The fruit of the rose, rose hips are a delicious part of the rose bush most people never realize is edible. You can find wild roses growing all across Michigan. While rose hips can be harvested in the Autumn, they are still hanging on to bushes in the winter and are easier to find than other January wild edibles that must be dug out from under the snow. They can be used to make all sorts of sauces and jams and add a lemony zing to teas and other dishes. They are not meant to be eaten raw, so harvesting the frozen fruits is perfectly fine and the red/orange fruits are easier to locate against the bright winter snow. Most people that eat a local food diet are low on their daily dose of vitamin C during the dead of winter. Eating local means that roots and meats tend to make up the bulk of winter meals. 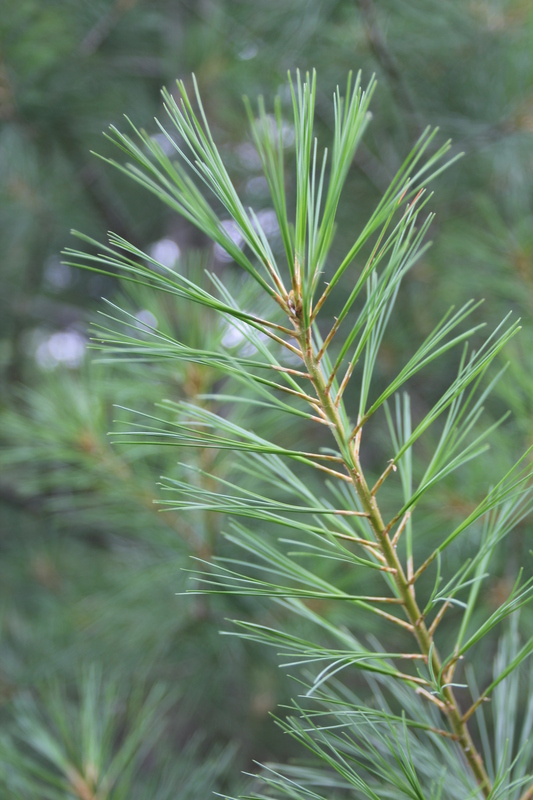 White pine needles are very high in vitamin C and make a tasty, warming tea, traditionally used by Native Americans. On your way back from you next snowshoe excursion take a detour past a white pine forest and grab some green needles. You will be glad for the warmth the tea brings you on your return home. Plus, the white pine is the state tree. You can’t get much more Michigan than that! Maple sap is boiled down into that sticky sweet treat commonly known as maple syrup. And while it is most often associated with Canada and Vermont, Michigan maples make a syrup that can’t be beat. Chances are if you grew up in Michigan you have tried this stuff poured over a snow ball to make a “Michigan Snow Cone”. The harvesting and processing takes a bit more effort than with other wild foods, but the results are well worth the effort. And having a locally sourced sweetener is nothing to scoff at. Ramps, or wild leeks, are a sure sign of Spring. They are one of the first wild edibles to appear after the snow melts. Most Michiganders have tried them even if they are not foragers themselves. They are served seasonally at some of the best restaurants in the state. Ramps are easy to identify by looks, and even easier by their pungent onion-like smell. The bulbs can be used in place of onions in any recipe and the green tops are a perfect substitute for green onions and scallions. The best way to eat them however is simply sauteed in a pan with butter or bacon fat. Many a Michigander has memories of collecting them on spring camping trips. Need a recipe idea? Check out ‘Ramped’ up Spring Camping Hash. 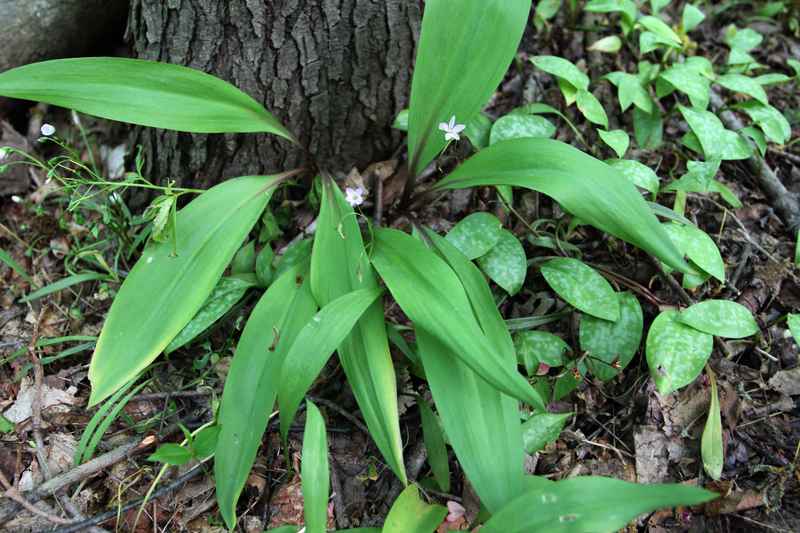 Ramps growing in the forest. It would be neglectful to compile a list of Michigan wild edibles and leave out morels. They are the gateway drug of mushroom foraging and droves of Michiganders have been hunting them since the time they could walk. Every mushroom hunter worth their salt has their own secret morel spot that they guard like a government secret during the cold war. Morels don’t like following rules and tend to spring up where they please despite the hundreds of books on the subject that will tell you exactly what type of growing conditions they prefer. If you find a morel, count your blessings, hold the secret of its location under lock and key, and be sure to post pictures of it on social media to brag to all your friends. These elusive fungi sell for upwards of $35.00 per pound! You have not tasted life until you have tasted a wild strawberry ripened by the sun. A sign that summer is swiftly on it’s way, Michigan wild strawberries need no recipe because they won’t make it past your mouth and into the basket. Not to be confused with the tasteless (but harmless) woodland strawberry, which can bring adults to tears because of its bland trickery. Superstitious Michiganders never pick the first strawberry on a plant, for fear it will make the plant think that producing berries is futile and it won’t produce. But I say eat it before the birds do! To a child growing up in Michigan, no wild edible is more easily identified or coveted than the black raspberry. Looking like a cross between a black berry and a common red raspberry, these plump fruits have a taste all their own. Braving prickly thickets of black raspberry canes can leave your skin looking like you’ve been in a fight with 17 cats. Michigan natives will tell you that the treat that awaits you on the other end is worth all the war wounds you might endure. Maybe you remember how much fun it was to kick these giant white mushrooms around like a soccer ball, maybe you were lucky enough to have a parent or a teacher that knew they were good for more than just sport’s equipment. Puffball mushrooms are one of the easiest fungi to identify. While they may not taste like much on their own, they do a wonderful job of soaking up the flavors of whatever you cook them in. They thrive in unlikely places and can be found growing in suburban backyards and high school football fields as well as in the country. Can’t easily go wrong with this one. Even people who don’t like mushrooms like it. Pawpaw’s, or Michigan bananas, thrive best in the southern part of the state. They are considered one of America’s forgotten fruits. Countless Michiganders will recall singing “Picking up pawpaws, putting em in my pocket, way down yonder at the pawpaw patch” as a child. These custard textured fruits that taste remarkably like a banana are only ripe for a small period in October and are too perishable to store, so be sure to keep a look out or you’ll miss them! 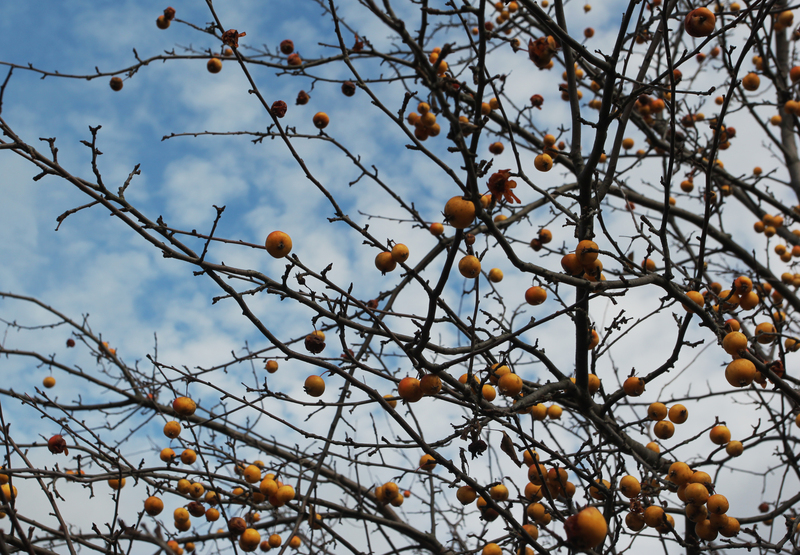 Wild crabapples are the ornery cousin to the commercial apple. Due to their size and sour taste they are much better turned into a sauce or chutney than eaten raw. They can be harvested as early as September or October, but a good freeze helps to soften them for cooking and can even bring out some of their sweetness. Plus, they bring to mind Michigan’s state flower, the apple blossom, and make you think of Spring. Two great ways to use them are to make crabapple butter or crabapple jelly. Crab apples can still be harvested once the leaves are on the ground, and some varieties store very well in a root cellar. Are you from Michigan? What wild edibles mean the most to you?